It's convenient for you to find things or go to the toilet when you get up at night. Baby feeding is more convenient at night. Operation: Press the ON/OFF to turn the nightlight ON, the it will light up automatically at night, press twice to turn it off. 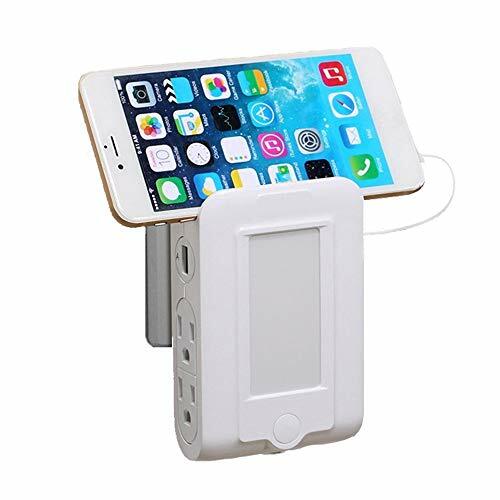 You can placed cell phone on the holder when it charge. You also can watch the video while charging.